Authorised investment funds in Ireland are established as either UCITS or non-UCITS (AIFs). UCITS funds can be used for a wide range of strategies and asset classes. Exchange Traded Funds (ETFs) and Money Market Funds (MMFs) are almost always established at UCITS funds. An ETF is a broad and unique operating model that offers investors the ability to diversify over an entire sector or market segment in a single investment. As a marketable security, it tracks an index, a commodity, bonds, or a basket of assets like an index fund. ETFs trade like a common stock on a stock exchange. Ireland is home to almost 50% of all European ETF assets. Since the launch of the first European ETF in 2000, Ireland has been the number one European domicile for ETF issuers. A MMF is an open ended mutual fund that invests in highly liquid short-term financial instruments. Money Market Funds can be established with a Constant NAV (CNAV) where the NAV is a constant $1 per share, or with Variable NAV (VNAV) where the NAV can fluctuate. Money Market Funds can be established in Ireland as either UCITS or AIFs. Ireland is currently the number one European domicile for MMFs by net assets. MMFs are currently undergoing EU parliamentary reform. The Alternative Investment Fund Managers Directive (AIFMD), implemented in July 2013, has transformed the EU regulatory landscape in the alternatives space. All non UCITS funds, or Alternative investment Funds (AIFs) are covered by AIFMD which has introduced new organisational, operational, transparency and conduct of business requirements on AIFMs and the funds they manage. 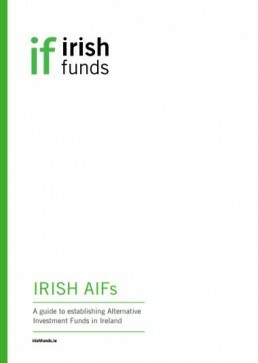 Ireland was the first jurisdiction to provide a regulated framework for AIFs and remains at the forefront of developments with the implementation of AIFMD. The AIFMD framework is in many ways reflective of pre-existing requirements in Ireland relating to supervisory oversight, an independent depositary, corporate governance, valuations and investor disclosure. The Central Bank has clarified its regime applicable to Irish regulated AIFs, AIFMs and their service providers under the “AIF Rulebook”. The Rulebook maintains the essential features and advantages of Ireland’s regulated AIF offering while combining these with the new AIFMD framework. There are two main types of AIF in Ireland, the Qualifying Investor AIF, and the Retail Investor AIF. The Qualifying Investor AIF is a regulated investment fund suitable for well-informed and professional investors. As the QIAIF is not subject to any investment or borrowing restrictions, it can be used for the widest range of investment purposes. The Retail Investor AIF has replaced the previous non-UCITS retail regime with a more flexible framework. The updated RIAIF framework allows for the creation of an investment fund which is subject to less investment and eligible asset restrictions than the UCITS regime but is more restrictive than the QIAIF regime. Consequently, the RIAIF could provide an attractive alternative for managers who need to set up a more highly regulated fund but whose investment strategies do not easily fit within UCITS. As the RIAIF is a retail fund product, it cannot avail of the automatic right to market across Europe under the AIFMD marketing passport, which is only for professional investors. Access to individual markets may, however, be granted on a case by case basis. Furthermore, with retail investor protection in mind, the Central Bank has stipulated that a RIAIF may only have a fully authorised AIFM. Non-EU managers (that do not have a fully authorised, EU-based AIFM) and sub-threshold AIFMs are therefore prevented from managing a RIAIF. Companies are registered under a series of Acts called the Companies Acts. The shareholders of the company enjoy limited liability. The main aim of funds set up as investment companies is the collective investment of its funds and property with the aim of spreading investment risk. A company is managed for the benefit of its shareholders. Variable capital companies can repurchase their own shares and their issued share capital must at all times be equal to the net asset value of the underlying assets. All UCITS funds and many AIFs are marketed to the public, therefore most companies are set up as public limited companies. The ICAV is a new corporate vehicle designed specifically for Irish investment funds, it sits alongside the public limited company (plc), and provides a tailor-made corporate fund vehicle for both UCITS and AIFs. It is not impacted by amendments to certain pieces of company legislation that are targeted at trading companies. Non-Irish investment companies can migrate into Ireland and become an ICAV as part of a single process. The purpose of the vehicle is to minimise the administrative complexity and cost of establishing and maintaining collective investment schemes in Ireland. For further information on ICAV registration please see the CBI website. Unit Trust is a contractual fund structure constituted by a trust deed between a trustee and a management company (manager) under the Unit Trusts Act, 1990. A Unit Trust is not a separate legal entity and therefore the trustee acts as legal owner of the fund’s assets on behalf of the investors. Since the Unit Trust does not have legal personality, it cannot enter into contracts. A separate management company is always required and managerial responsibility rests with the board of directors of the management company. This separate management company can also be used to manage other UCITS and AIFs. The trust deed is the primary legal document which constitutes the trust and it sets out the various rights and obligations of the trustee, the management company and the unit holders. An investment limited partnership is a partnership of two or more persons having as its principal business the investment of its funds in property of all kinds and consisting of at least one general partner and at least one limited partnership. The limited partner is equivalent to the shareholder in a company while the general partner would be the equivalent of the Management Company in a unit trust. The main advantage of a limited partnership is that the partnership does not have an independent legal existence in the way that a company does. All of the assets and liabilities belong jointly to the individual partners in the proportions agreed in the partnership deed. Similarly the profits are owned by the partners. Each partner is entitled to use any tax reliefs and allowances the partnership is entitled to as agreed between each partner, subject to any tax rules governing the allocation of the reliefs and allowances. An ILP can only be established as an AIF and is authorised and regulated by the Central Bank. A CCF is a contractual arrangement established under a deed, which provides that investors participate as co-owners of the assets of the fund. The ownership interests of investors are represented by ‘units’, which are issued and redeemed in a manner similar to a unit trust. The CCF is an unincorporated body, not a separate legal entity and is transparent for Irish legal and tax purposes. As a result, investors in a CCF are treated as if they directly own a proportionate share of the underlying investments of the CCF rather than shares or units in an entity which itself owns the underlying investments. A CCF can be established as a UCITS fund (Undertakings for Collective Investment in Transferable Securities) or an AIF (Alternative Investment Fund). 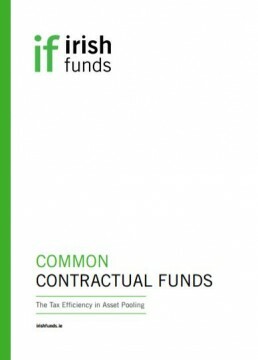 Tax transparency is the main feature, which differentiates the CCF from other types of Irish funds. The CCF is authorised and regulated by the Central Bank. Please note that this site is not intended to answer questions about individual investments nor is it intended to give professional or legal advice. Please see our disclaimer. 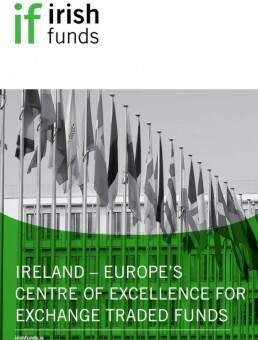 Find out why most new issuers choose Ireland as their base to launch European ETF products.